We always love the day after Bountiful Baskets because it seems like we have a feast. Today was no different! 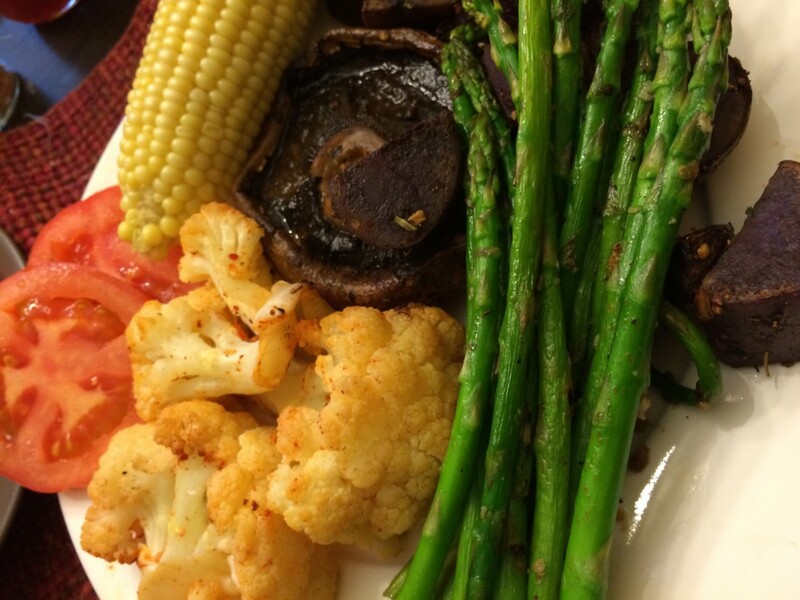 Today’s “feast” was comprised of all vegetables including grilled portabella cap, purple potatoes, cauliflower steamed and then covered with smoke paprika, garlic infused asparagus, corn on the cob and freshly sliced tomatoes. What more needs to be said!